It has sapped billions of dollars of wealth away from middle- and low-income communities, has led to the highest sustained unemployment levels in 75 years, and has had a disproportionate impact on Black and Latino families. In the face of this crisis, the federal government remains paralyzed and the financial industry is unwilling to see past its bottom line. Five years after the economy collapsed, tens of millions of Americans continue to suffer the heartbreaking consequences. In response, a coalition of community-based organizations, unions, and policy advocates has launched the Campaign to Restore Community Wealth to finally end the foreclosure crisis and stimulate a robust economic recovery. 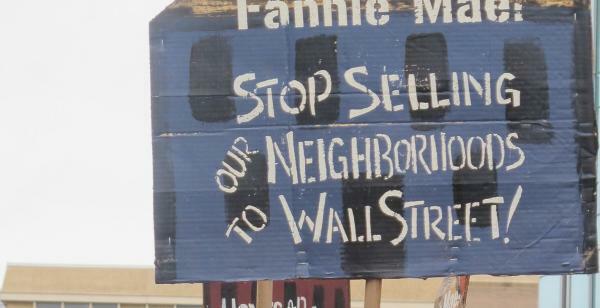 As highlighted by the New York Times and dozens of other media outlets, the campaign is pushing an innovative strategy: cities will use their power of eminent domain to purchase underwater mortgages, refinance the mortgages at affordable low rates, and help families stay in their homes with lower monthly bills. This approach is truly ground-breaking. Until now, banks and other entities that hold mortgages have had sole discretion on whether to renegotiate mortgage debt to help homeowners stay in their homes. And as we have seen, far too few banks have been willing to take the steps necessary to solve this crisis. Through this campaign, however, cities will exercise their power of eminent domain – forcing mortgage holders to sell underwater mortgages to enable refinancing when banks otherwise refuse to renegotiate the mortgages themselves. “I just want a modification with principal reduction so that I can stay in my home. It is everything to me.” - Betty Bardo, who has lived in her Glendale home since 1994. The Center for Popular Democracy has provided policy and campaign support to this effort. 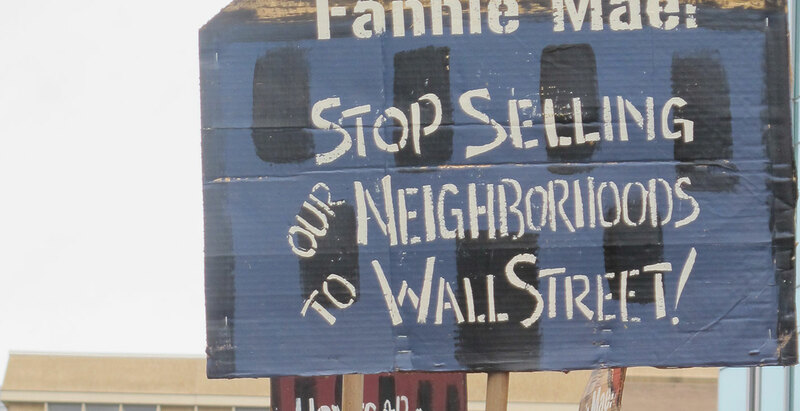 In 2013, we collaborated with the Alliance of Californians for Community Empowerment (ACCE) to publish a ground-breaking report entitled “California in Crisis: How Wells Fargo’s Foreclosure Pipeline is Damaging Local Communities.” We provided New Jersey Communities United tailored legal analysis of complex New Jersey property and municipal law in order to help inform their campaign. Through Local Progress, our network of progressive local elected officials, we organized a group of municipal elected officials from around the country interested in working on this issue together and we brought together 45 elected officials, staffers, and advocates for a national webinar and strategy session on the topic. Local Progress has built a local principal reduction issue group to help elected officials from cities around the country move forward on the issue in collaboration with one-another and with community-based organizations in their cities. And, in partnership with the Home Defenders League, we helped mobilize 43 organizations from around the country to call on Congress to abstain from interfering with cities’ programs. The Campaign to Restore Community Wealth has the potential to help keep tens of thousands of families in their homes and to inject billions of dollars into the nation’s economy and CPD is proud to be a part of the effort.